Wolverton was extended westwards again in the early years of the 20th century. This meant extending Church Street and Aylesbury Street and Green Lane. Green Lane became Western Road after Windsor Street. and Anson Road after Sir William Reynell Anson. It may also be that Woburn Avenue, the short terrace at the top of Western Road, took its name in honour of the 11th. Duke of Bedford, who was a Trustee from 1900-1913. Otherwise this choice appears whimsical. In the 1930s more land was taken out of Stacey Farm and larger houses were built on what is now Stacey Avenue. Gloucester Road was named after the Duke of Gloucester and Marina Drive after Marina Duchess of Kent. Eton Crescent, built around this time, seems another whimsical choice. I can only guess that the Council’s thinking was that Eton, in the southern tip of Buckinghamshire, might be associated with Windsor and associated itself with the Royal theme. I should have asked my grandfather who was probably sitting on the council at the time this decision was made. In the late 40s and early 50s Furze Way opened, so called because it was developed on the ancient field known as Hodge Furze. 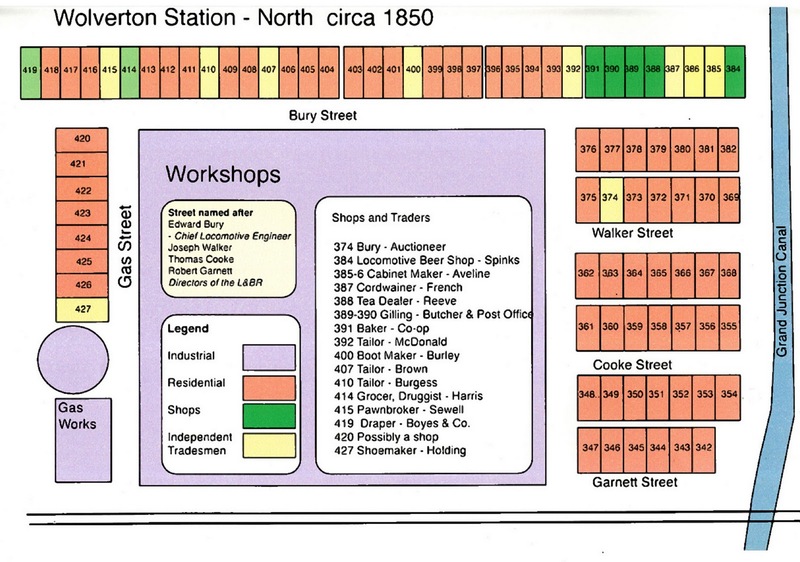 The first Wolverton streets were named after directors or officials of the London & Birmingham Railway. George Carr Glyn, who gave his name to Glyn Square, was the first chairman of the company. On elevation to the peerage he took the title Baron Wolverton. Richard Creed was the London-based secretary to the company. C.R. Moorsom was his Birmingham counterpart. 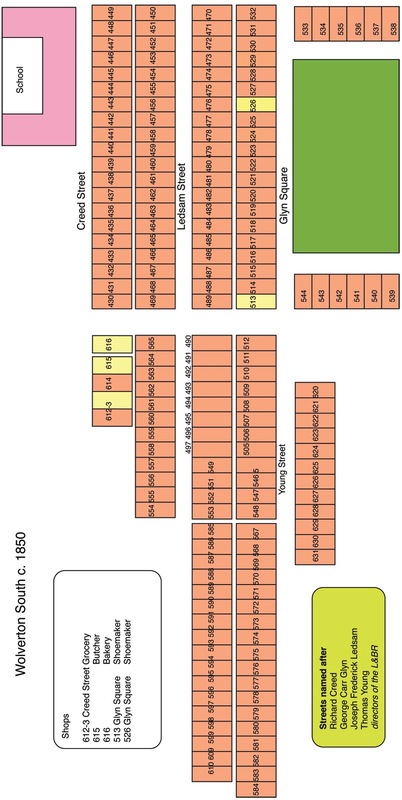 Both Glyn Square and Creed Street survive today as actual addresses. 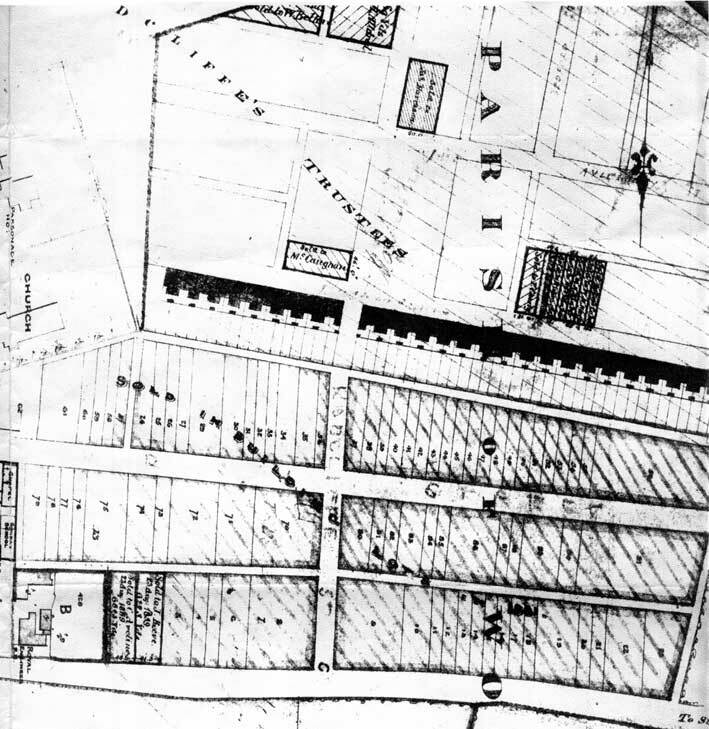 There were three short streets to the north of the original engine shed – these were Garnett Street, Cooke Street and Walker Street. Robert Garnett was part of a wealthy Manchester importing family. I have not been able to find out about Thomas Cooke or Joseph Walker. Thomas Cooke was also a director of the London & Soth Western Railway. Likewise, Walker also served on the Board of the Birmingham and Derby Railway. It is probably a fair guess that Cooke’s business interests lay in London and Walker’s in the Midlands. 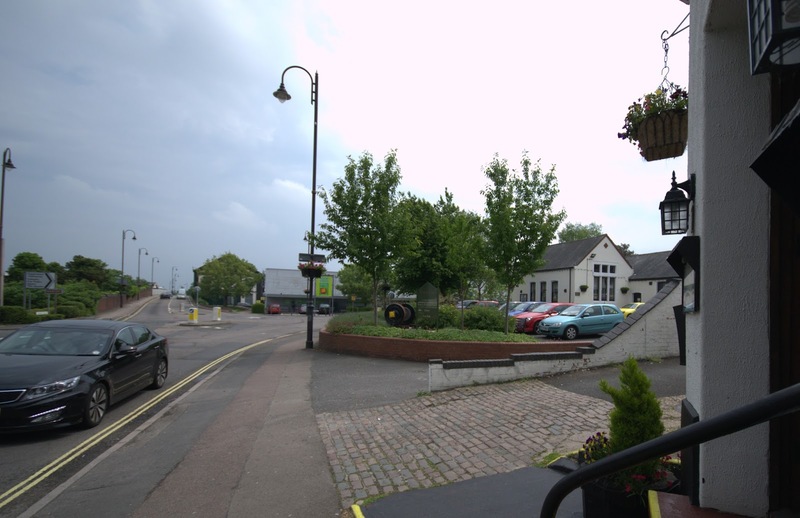 The main street in the north part of town was Bury Street which also housed about 10 shops. It was named after Edward Bury who was the chief locomotive engineer for the L&BR until he was replced by McConnell in 1847. The last street north of the Stratford Road was Gas Street, which had eight houses, some offices and the first Gas Works for the town. 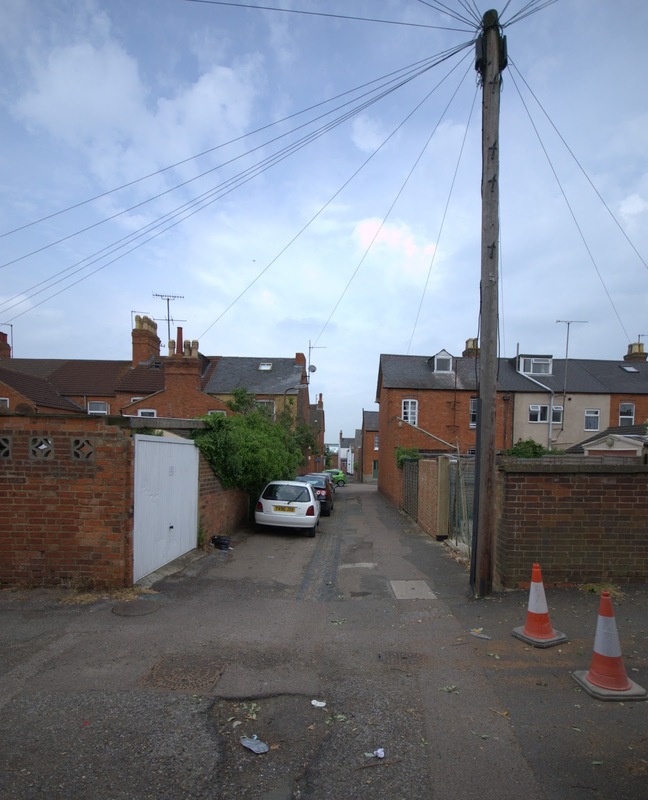 The two other streets built in 1840 were Ledsam Street, named after Joseph Frederick Ledsam, a Birmingham businessman, and Young Street, after Thomas Young – about whom I can find nothing. 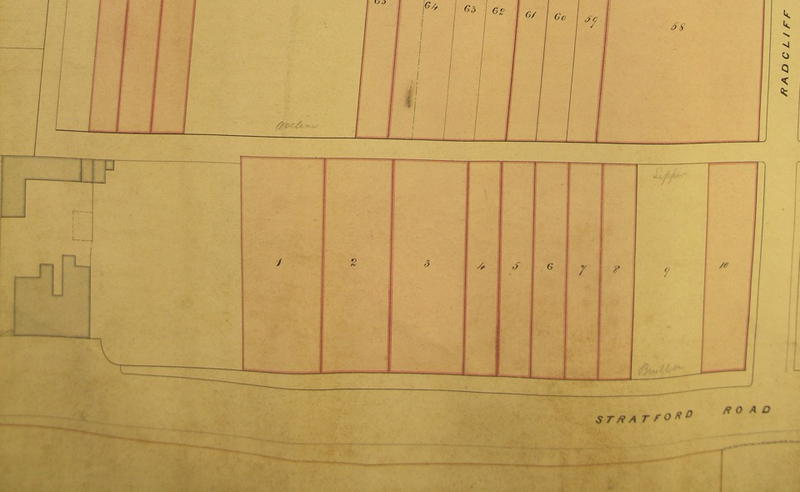 As the town spread to the west, the New Road became the Stratford Road, Church Street was built parallel. The naming is self evident. 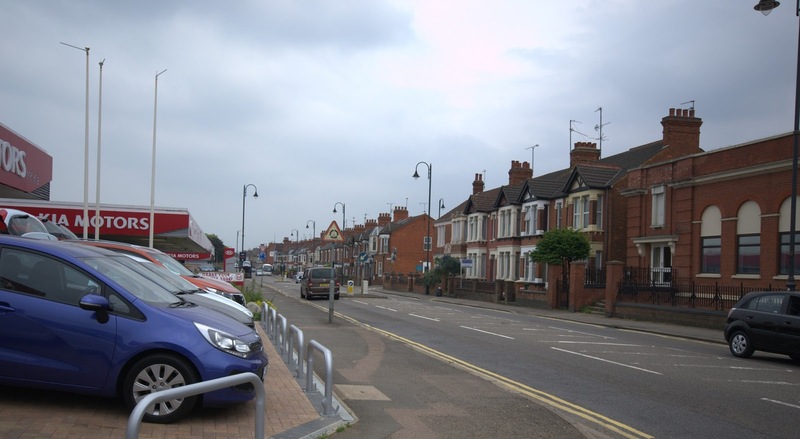 The next road running north to south was named after the Radcliffe Trust, which owned the manor of Wolverton and therefore had a large say in how land was parcelled out for the new town. From there the town resorted to place names for its new streets, Buckingham, Aylesbury, Bedford and Oxford, and, in time Cambridge. The next street to appear was Windsor Street. There is no obvious reason for this choice. If the town were to seek names from nearby important towns, then Northampton street might be the next obvious choice. Windsor was in the County of Buckinghamshire at the time and was quite a large town. It is posssible that this name was chosen for its historic Buckinghamshire association, although I should point out that High Wycombe was by far the largest town in Buckinghamshire in the 1890s. Wolverton was second. Somehow, High Wycombe Street does not have the same resonance. 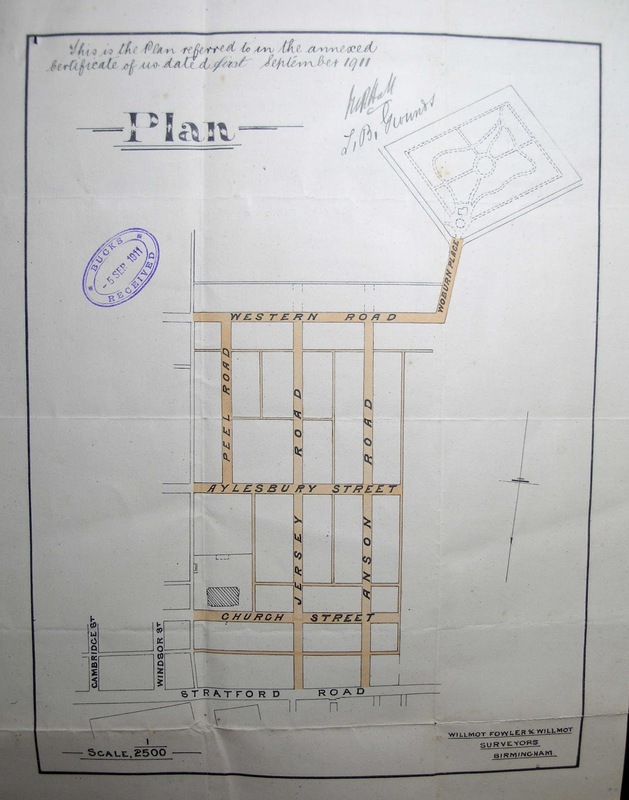 The next development saw the contruction of Moon Street, Green Lane, Victoria Street and Osborne Street. 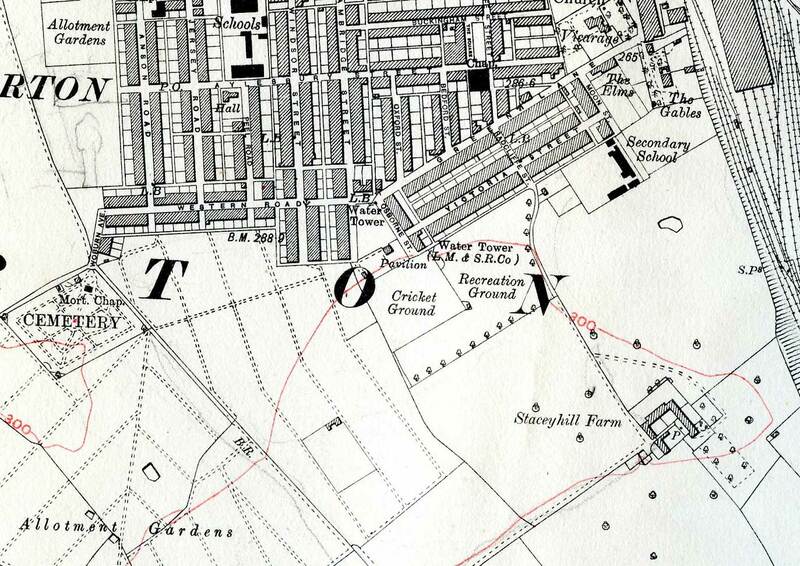 Green Lane followed the line of the ancient track leading to Calverton and was already named. Victoria Street represented a new departure in naming the street after the long reigning monarch and I think (but am not absolutely sure about this) that Osborne Street comes from the same idea – the house of Queen Vic on the IOW. More on the other streets tomorrow.